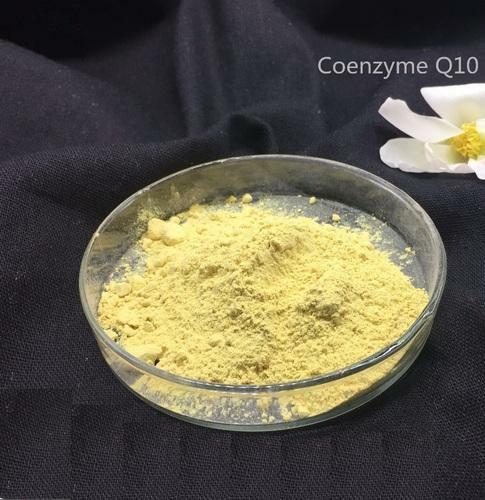 Keeping into consideration all the quality parameters, we are offering a wide array of Coenzyme Q10 Enzyme. The Coenzyme Q10 Enzyme we offer is known amongst the customers for their superior quality. Our offered Coenzyme Q10 Enzyme is used for treating blood vessels, heart and many others. Known for the purpose of manufacturing, trading, supplying and exporting an extensive range of premium quality Herbal Extracts, Enzymes and nutraceuticals molecules such as Ubiquinol acetate, L Methylfolate, Pyrroloquinoline Quinone(PQQ) etc;. The Bangalore Sales Corporation was established in the year 1997. The product range offered by us are Natural Herbal Extracts or fermentation based Nutritional Supplements. The herbal extract and Nutraceuticals range offered by us is processed from high quality ingredients that are sourced from reputed vendors. For the purpose of processing these herbal extract and Nutraceutical molecules in fulfillment with set industry standards, the advanced equipment and tools are widely used. Moreover, this herbal extract and Nutraceutical molecules range is known for its compositional accuracy, high purity and accuracy. Offered by us at affordable prices, these herbal extract and Nutraceutical molecules are highly appreciated and accepted in the market. We have been able to meet the requirements of our valuable patrons, due to our large production capacity, rich vendors’ base and well-equipped warehousing unit. In addition to this, our customer centric approach has helped us in gaining the trust of our valuable customers in the most efficient manner. We have been able to export these products across various countries such as USA and Japan.